With a new year on the horizon, it’s a good time we stepped back and looked at how hard we’ve been on ourselves. If you find that the negative in your life is outweighing the positive then you are not alone. With all of the media influence these days and bad news splashed across our TV’s and all over the news it’s no wonder life can seem like it’s going downhill. Bulimia treatment is about treating yourself like your best friend and a great first step is to be less critical of ourselves. Negativity and being self critical can lead you back into the binge and purge cycle, leaving you with no chance of ever overcoming bulimia. But, there is hope! Treating yourself like your best friend starts with how you talk to yourself. Your self-talk. I could have recorded all of the self talk that went on in your head yesterday and played in back to you today – do you think you would be hearing the voice of a loving, kind steward who cared about your well being or would the voice sound like that of the Wicked Witch of the West? Your monkey mind and self talk have got to go. It’s time for an inner transformation. Allowing the negative self talk is counter to a successful bulimia treatment and recovery program. Learning to love yourself and be your best friend is very much a part of what I hope you take on this year…this new year that’s laid out before you. The inner voice I’m talking about – your self critic – is the voice that gets under your skin and makes you question the positive, points out everything that can go wrong with any situation, and adds to your insecurities. It eats away at the progress you’ve made, and makes it hard to enjoy any situation, because it is always thinking of ways things can go wrong. This voice can be a huge problem, it can infiltrate every aspect of your life, escalating from something that is easy to dismiss, to something that will have you questioning what’s real and what’s not. 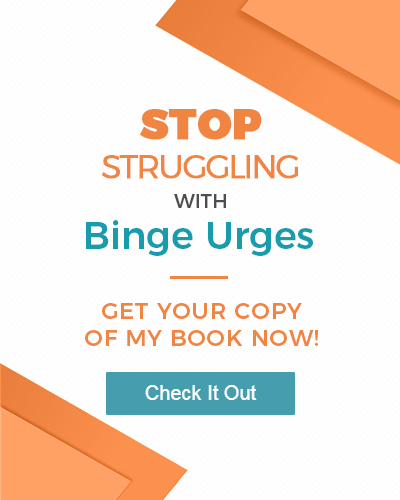 This voice can add to your stress making you struggle with emotional eating, depression, self-confidence, and slowing your bulimia treatment progress. So, as the New Year rises and you are making great strides in overcoming bulimia, do yourself a favor—recognize that the fearful, harmful, critical voice is not you, ignore it and begin to replace it’s comments with empowering affirmations of your own. It takes awhile and will feel like a boxing match going on in your head for awhile. But, believe me in time it will become more and more quiet. I hardly hear negative thoughts in my head any more. I’ve replaced them with empowering, self-affirmative thoughts that support my well being. You can, too.